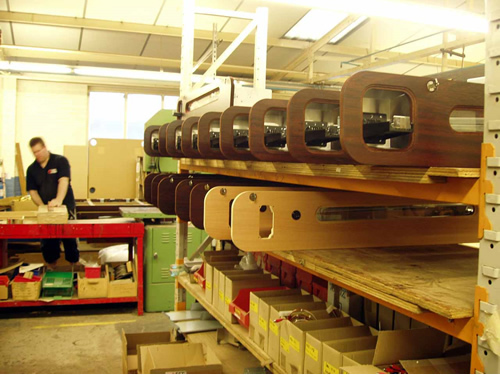 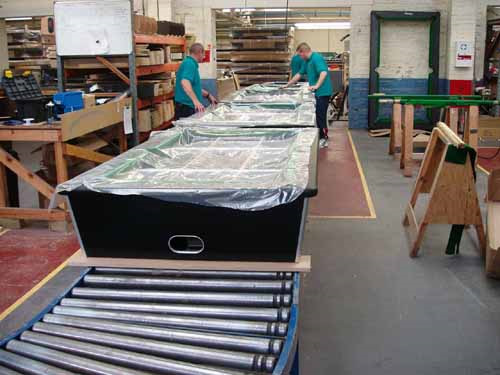 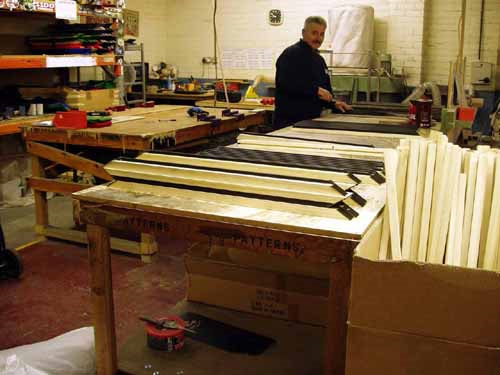 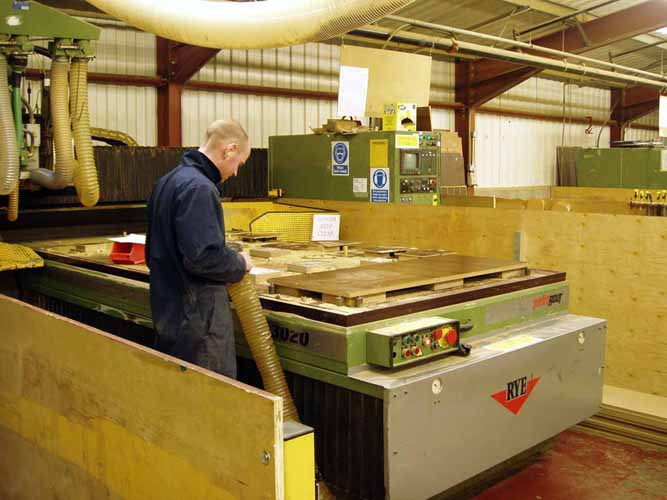 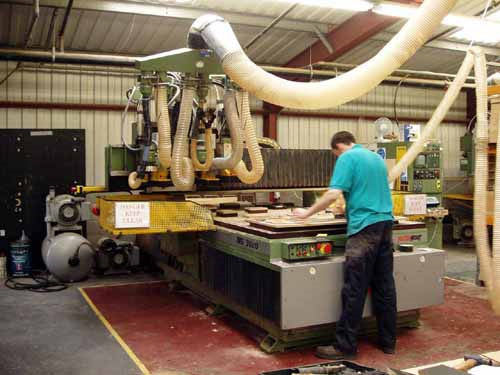 We encourage many of our customers to visit manufacturers to aid their decision making. 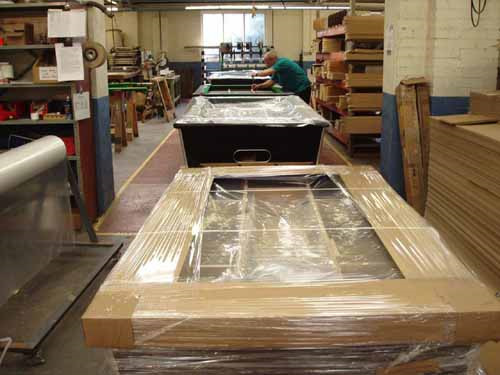 As we are commercial operators of many items we sell we extol all the virtues of the products and to complete the picture, many clients wish to view the product prior to purchase. 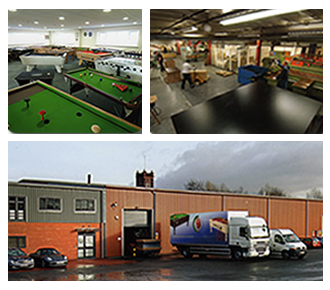 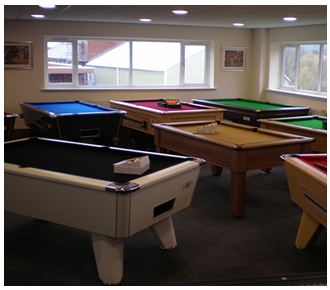 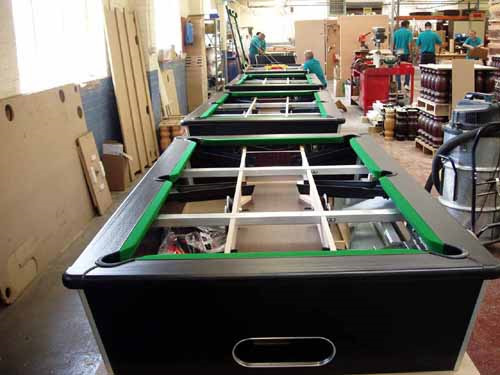 They can see at first hand the modern, high volume, professional factories in full production and gain or confirm ideas on pool table and cloth choice. 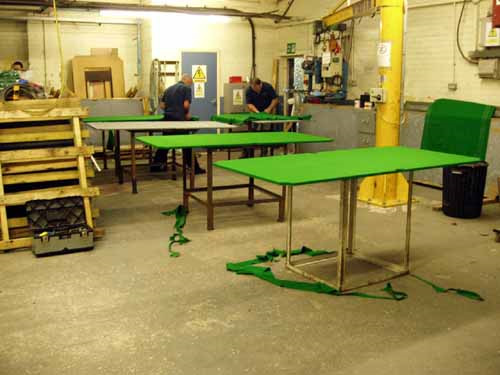 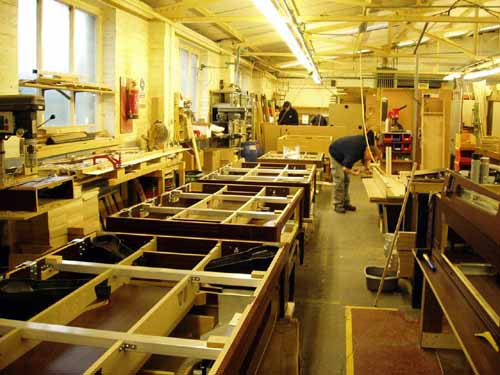 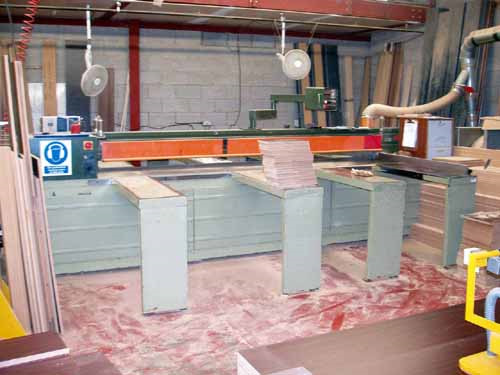 Either by seeing the table being made on the factory floor or on display in the showroom, they leave with a definite table idea. 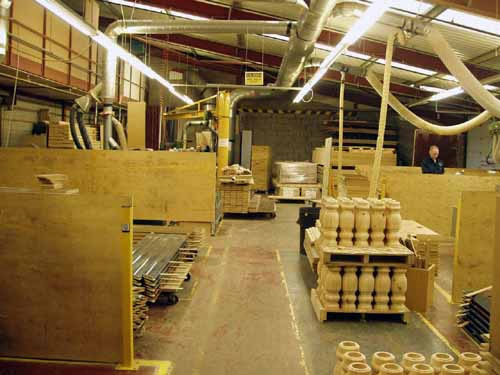 We then complete the sale by liasing with the client, the manufacturer and our fitting team to arrange a mutually agreed delivery and installation date. 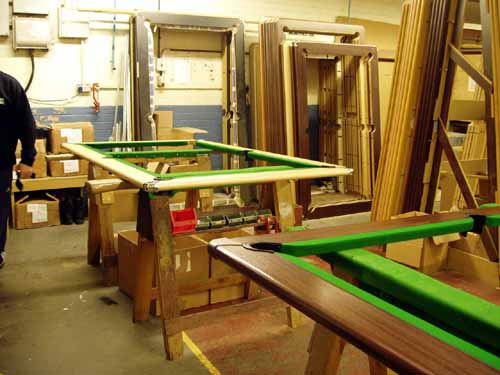 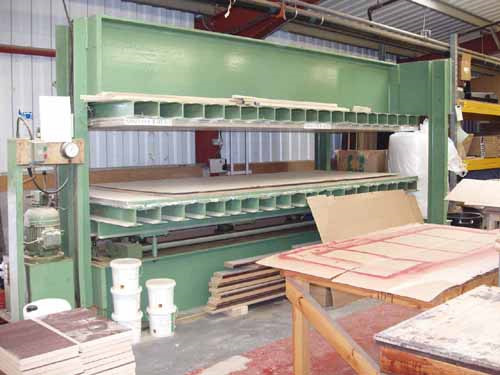 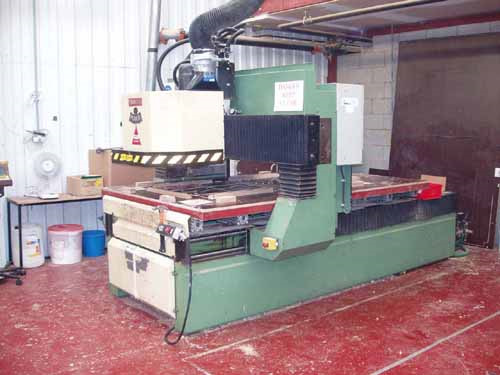 The visits have to be co-ordinated with the manufacturers - please call us on 0161 494 8485 to discuss a visit via ourselves.